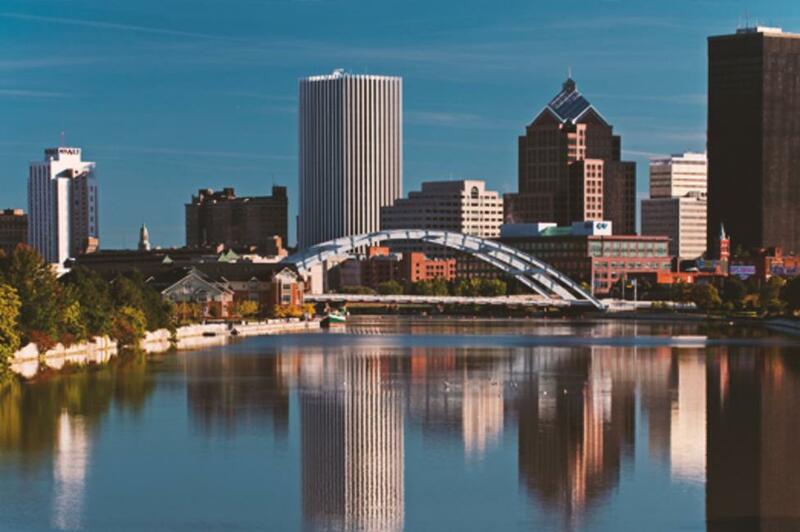 Known for classical music and lilacs, among other things, Rochester is perfect for a scenic getaway packed with diverse activities. From America’s oldest municipal park-garden cemetery to top-ranked golf courses to the Strong National Museum of Play, this mid-sized city packs surprises for visitors of all ages and interests. While staying in Rochester for a week (or five!) would be awesome, we know busy schedules make weekend trips ideal. Here’s how to get the most out of Rochester in 48 hours. Put down your bags and head to Dinosaur Bar-B-Que, New York’s best barbeque spot according to Movoto. Make sure to wear clothes you don’t mind getting dirty and pants with an elastic waistband—their ribs are notoriously incredible! 7 pm: Immersing yourself in the Rochester culture means becoming a Rochester sports fan for a day. Catch a Rochester Red Wings baseball game at Frontier Field or a Rochester Rhinos game at Sahlen’s Stadium. If you prefer stage or dance to sports, check out Geva Theatre! Film lover? Head to the Little for an indie or foreign film in a boutique theatre. 10 am: Whether you’re traveling with kids, or are just a kid at heart, checking out the National Museum of Play while in Rochester is a must. 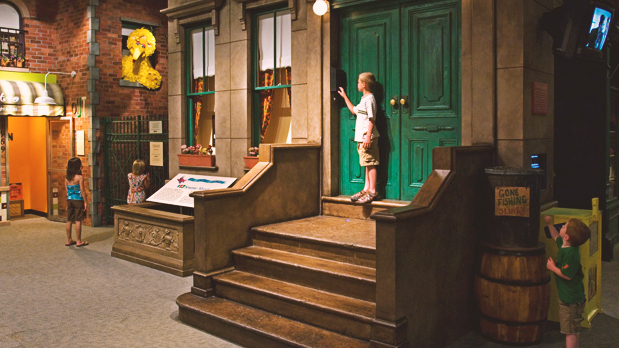 It’s the only collections-based museum in the world devoted solely to play! 1 pm: Make a day out of museum-going! 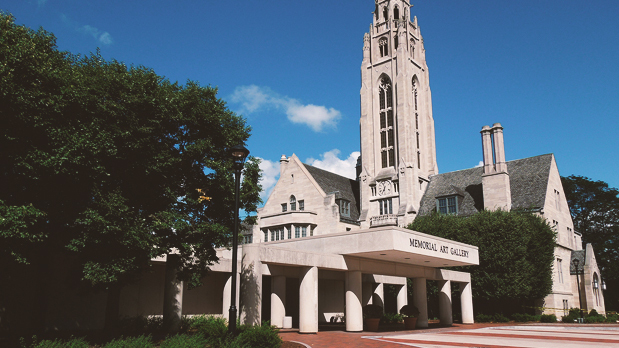 Head on over to the Memorial Art Gallery, which houses more than 5,000 years worth of art history including works by Monet and Cezanne. Grab lunch at one of the many neighborhood restaurants. 3 pm: Enjoy the remainder of your afternoon at Durand Eastman Park and Beach. Catch some rays on the shore of Lake Ontario and cool off with a dip before you explore the park’s steep wooded slopes, scenic vistas, and a plethora of flowering trees. 6 pm: What’s better than a tour of Rochester…? A tour of Rochester’s Canandaigua Lake beer trail breweries! Ease into your evening with a sampling of different locally-made craft brews. Looking for something a little more scenic? Step aboard the Sam Patch or the Colonial Belle for an evening cruise. 8:30 pm: Grab dinner at The Richardson Canal House in Bushnell’s Basin for a delicious dinner with a view. Historically built in 1818, The Richardson has served as a public house for over 100 years—so you’ll soak in some history while you’re there, too! 10 pm: End your evening with a craft brew and/or some dancing at one of the many bars and music halls that populate Downtown Rochester’s East End. 9 am: Grab breakfast at the Rochester Public Market. Get a Danish or fluffy eggs from the local bakery then walk the endless rows of baskets filled with locally-grown fresh produce. 11 am: Put on your hiking boots and head to Genesee River’s High Falls in the middle of the Rochester metropolis. Soak in the stunning view from the pedestrian bridge while the waterfall’s spray cools you off. 1 pm: Stop in for a quick hotdog at DogTown (a lunch hotspot according to Movato), where the dogs are served on freshly baked French rolls rather than buns and are smothered with all the toppings of your choice. The price points may be super cheap, but the quality of these dogs is anything but! 2 pm: Spend the rest of your day at the George Eastman House International Museum of Photography and Film. 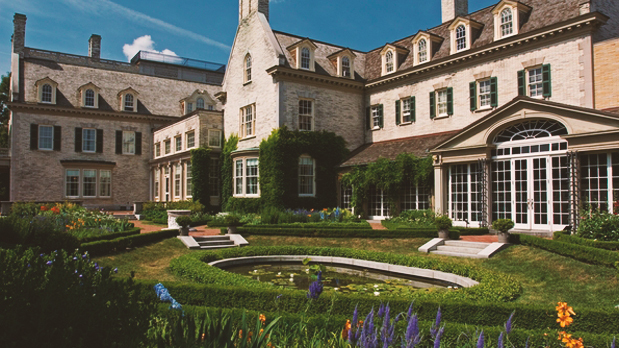 A National Historic Landmark, the George Eastman House tells the story of photography, motion pictures, and the fascinating tale of the founder of the Eastman Kodak Company, George Eastman. Explore the unparalleled collections and archives (it&apos;s the largest film collection in the country!) as well as the property’s mansion and gardens. By train: Take Amtrak to Rochester station (ROC) at 320 Central Ave. Taxi service is available to downtown shopping district and city attractions. From Buffalo: 1 hour 15 min. Don’t forget to post photos of your New York adventures on Instagram and Twitter with #ILoveNY and #iSpyNY and tag us on Facebook!